Home » Blogs » Mark Virkler's blog » Biblical Meditation Involves Imagination! As you read the context of 2 Corinthians 5:6-7 and 1 Peter 1:7-8 you will note they are both talking about PHYSICALLY SEEING - seeing PHYSICAL CIRCUMSTANCES (2 Cor 5:6-7) and PHYSICALLY SEEING JESUS (1 Pet. 1:7-8). When it comes to seeing with the eyes of our hearts, Paul tells us to look and see the glory of the Lord in the "unseen" world (2 Cor. 3:18; 4:18) and Hebrews 12:2 tells us we are to be fixing our eyes on Jesus. So the question is: What (or Who) is it in the unseen realm that we are to look at and, that by beholding, will transform us into the same image? The answer: As I look with the eyes of my heart to see what Jesus is doing in the situation, and I take on His actions by saying, “Yes, Lord.” and do what I see Jesus doing, the result is that I am transformed from a person who does something out of self, to a person who is doing what I see Jesus doing in the situation. For example, I want to hit someone (maybe just with words, but I want to hit them as they have made me frustrated). But when I look into the spirit world to see how Jesus is reacting to the person, the picture that lights upon my mind is Jesus ministering grace to them. So I decide to minister divine grace to them as well. I decide to do what I see Jesus doing, and thus I have been transformed while I looked into the unseen realm, with the eyes of my heart, and observed the actions of Jesus and said "yes" to what He was showing me He was doing. This is taking us one step beyond the book "In His Steps" by Charles Sheldon where he asked, “What would Jesus do?" We ask instead, “What is Jesus doing?” Since Jesus is still alive, and is Immanuel, God with us, and is still doing things, there is no need to make this a past tense or hypothetical question. It is a present tense question. Jesus is still moving and we still have eyes in our hearts that function and can see visions and dreams! This is the way Christians are to live all the time. It is called “abiding in Christ” (Jn. 15) and it involves hearing, feeling, sensing and seeing Jesus in action, the One Who is walking with us down the road of life. It is simple. It must be simple enough for a child to do (Lk. 18:17), so don't make it difficult. It is asking the Holy Spirit to show you what Jesus is doing, and then looking with the eyes of your heart into the unseen world, and honoring and accepting and believing the pictures that light upon your mind while you are in that poise. You have asked for them to come from the Holy Spirit and Jesus' promise is that indeed they do (Jn. 7;37-39; Lk. 11:13). So go ahead and accept them in simple childlike faith. Of course they need to be compatible with Scripture and it is always wisest to submit them for confirmation to your 2-3 spiritual advisors (Matt. 18:16), especially when involving any significant decisions or if you are uncertain about what you have received. Notice how King David used the eyes of his heart to “see” the Lord when he was meditating. For example, Psalm 63 associates meditating (Hebrew hagah) with seeing in the Spirit a vision from God (Hebrew khazah). “I have seen (khazah) You in the sanctuary and beheld Your power and your glory (Ps. 63:2).” And four verses later: “When I remember You on my bed, I meditate on (or ‘imagine’ hagah be) You in the night watches (Psa. 63:6).” So for King David, meditating absolutely included seeing in the Spirit realm. When we meditate, we must also be presenting the eyes of our hearts to the Holy Spirit, asking Him to show us God’s visions (Acts. 2:17). I would say, King David is picturing the Lord before him, at his right side. I can think of no reason not to do this. The Bible says Jesus is Immanuel God with us, so why limit ourselves to just thinking it? Why not picture it? If a picture is worth 1000 words then what we see has much greater power to impact us than what we hear, probably because we have stepped from mind to heart. I assume that is why Jesus always painted pictures when he spoke (Matt. 13:34). He was communicating heart to heart the truths about a heart to heart relationship with Almighty God. Let's look at the meaning of the Hebrew verb hagah "meditate, imagine, visualize," in Joshua 1:8 and Psalm 1:2. As we will see in the paragraphs that follow, the standard Hebrew lexicon, Brown, Driver, Briggs, and Spanish Old Testament & Hebrew scholar, Dr. Jesus Arambarri, have proven the meanings "imagine" and "visualize" for this verb in the Hebrew Bible. The other passages in the Hebrew Bible that demonstrate the "imagine"/"visualize" meaning are discussed in detail on pages 7-13 of How to Release God's Healing Power Through Prayer by Greig, Virkler and Gaydos. The paragraph below is a summary of the commands to imagine and visualize God's Word (as taken from pages 7-13 of the above book). Visualizing is not a New Age idea: it's a godly, heavenly idea that satan stole and counterfeited!! And the Hebrew hagah in Joshua 1:8 and Psalm 1:2 (and all the other passages in the Hebrew Bible where it is used) prove it! Dr. Arambarri points to several other passages in the Hebrew Bible, besides Joshua 1:8 and Psalm 1:2, which prove that the Hebrew verb hagah meant not only to meditate verbally by “muttering” and “speaking,” but also meant to “imagine,” “devise (in the mind),” or “visualize/ visually ponder,” in passages like Psalm 63:6; Prov. 24:2; Isa. 33:18. The concept of meditation by the wicked in Proverbs 24:2 is comprised of the heart plotting, devising, or imagining violence: Proverbs 24:2 “For their hearts plot (hagah) violence, and their lips talk about making trouble.” Here the Hebrew verb hagah clearly denotes the wicked imagining, devising, or planning ways to carry out violence against others. Plotting in their hearts plans of violence would hardly be possible without some sort of visualizing or imagining ways to carry out that violence. Terrorists rarely act without a premeditated plan of violence. Thus these passages above show that in the Old Testament the biblical concept of meditation involves pondering that imagines, visualizes, and pictures the Lord, people, and events. For this reason Dr. Arambarri concluded that in Joshua 1:8 and Psalm 1:2 the concept of meditating on the Scriptures (the Torah) include visual pondering, imagining,and picturing the past heroes of the faith and the past acts of the Lord in salvation history described in Scripture. This is why we conclude that practicing biblical meditation means visually pondering and picturing what God says is true in Scripture, while we keep the words of Scripture in our mouths, memorizing key passages. The Hebrew verb “meditate on” (hagah be) includes the connotations “imagine” and “devise (in the mind)” according to a standard Hebrew lexicon, F. Brown, S. R. Driver, and C. A. Briggs, A Hebrew and English Lexicon of the Old Testament (Oxford: The Clarendon Press, 1951), p. 211, right column sub hagah. For example, Psalm 63 associates meditating (Hebrew hagah) in Psa 63:6 with seeing in the Spirit a vision from God (Hebrew khazah) in Psa 63:3--Psa. 63:3 “I have seen (khazah) You in the sanctuary and beheld Your power and your glory” . . . Psa. 63:6 “When I remember You on my bed, I meditate on (or ‘imagine’ hagah be) You in the night watches.” See the notes below: Hebrew hagah be also connotes “visualizing” or “picturing” the mighty acts of salvation history in Scripture, according to Dr. Jesus Arambarri in A. A. Diesel et al., eds., Jedes Ding Hat Seine Zeit: Studien zur Israelitischen und Altorientalischen Weisheit [Festschrift D. Michel] (BZAW 241, Berlin: Walter de Gruyter, 1996), pp. 1-17. “As an activity of the heart (Prov. 24:2), it is more than just talking or speaking” (“Als Tätigkeit des Herzens (Prov. 24,2) ist es mehr als ein Reden oder Sprechen.” Arambarri, in A. A. Diesel, Jedes Ding Hat Seine Zeit, p. 10). “Das vergegenwärtigende Gedenken an Jahwes Heilshandeln.” Arambarri, in A. A. Diesel, Jedes Ding Hat Seine Zeit, p. 12. “Es handelt sich um eine freudige und willige Beschäftigung mit einer Vergangenheit, die im Laufe des Gedenkens zur Gegenwart geworden ist. . . . “Nachsinnen, meditieren’ sind geläufige Übersetzungen. . . . Hagah be beinhaltet ein Denken, ein Wiederholen, ein Sich-auf-die-entstehende-Stimmung-Einlassen.” Arambarri, in A. A. Diesel, Jedes Ding Hat Seine Zeit, p. 14. “Die Vergangenheit der Heilsgeschichte wird Gegenwart in der Haltung des Menschen, der sich an die Taten des Herrn erinnert, der die Torah im Herzen trägt.” Arambarri, in A. A. Diesel, Jedes Ding Hat Seine Zeit, p. 16. “Die Vergegenwärtigung der Taten Gottes, das geschieht in Jos 1,8 mit dem ständigen Im-Mund-Behalten der geschriebenen Worte, die im Buch des Gesetzes zu finden sind.” Arambarri, in A. A. Diesel, Jedes Ding Hat Seine Zeit, pp. 14-15. The Hebrew verb khazah is frequently used in the Hebrew Bible to denote seeing a vision from God or seeing in the spiritual realm: khazah “see (a vision),” Brown, Driver, and Briggs, A Hebrew and English Lexicon of the Old Testament, p. 302 right column; Koehler and Baumgartner, The Hebrew and Aramaic Lexicon of the Old Testament, vol. 1, p. 301 left column. For discussion on the Hebrew verb khazah denoting prophetic, visionary seeing in the spiritual realm in ancient Israel, see the classic work of R. R. Wilson, Prophecy and Society in Ancient Israel (Minneapolis, MN: Fortress Press, 1980), pp. 140, 254-256; F. Haeussermann, Wortempfang und Symbol in der alttestamentlichen Prophetie (BZAW 58; Giessen, 1932), pp. 4-5; R. Rendtorff, “Prophetes: nabi’ in the Old Testament," in Kittel,Theological Dictionary of the New Testament, vol. 6 (1968): p. 809; M. Jastrow, “Ro’eh and Hozeh in the Old Testament,” Journal of Biblical Literature 28 (1909), pp. 42-56; H. M. Orlinsky, “The Seer in Ancient Israel,” Oriens Antiquus 4 (1965), pp. 153-174; R. Kraetzschmar, Prophet und Seher im alten Israel (Tübingen: J.C.B. Mohr, 1901), pp. 19-25. J. N. Oswalt, Isaiah 1-39 (Grand Rapids, MI: Eerdmans, 1986), p. 603. W. Michaelis, in Kittel, Theological Dictionary of the New Testament, vol. 5, p. 815. BDAG [W. Bauer, F. W. Danker, W. F. Arndt, F. W. Gingrich, A Greek-English Lexicon of the New Testament and Other Early Christian Literature (Chicago: The University of Chicago, 2000)],, p. 767, right column; cf. the earlier edition definition in Bauer, Arndt, Gingrich, and Danker, A Greek-English Lexicon of the New Testament and Other Early Christian Literature (Chicago: University of Chicago Press, 1979), p. 619. Sound Doctrine Through Revelation Knowledge by Mark and Patti Virkler – an alternative to traditional hermeneutics. The Great Mystery – Christ in You by Mark and Patti Virkler – Explores all New Testament verses that describe what Jesus provides for you through His indwelling Spirit. How Do You Know? 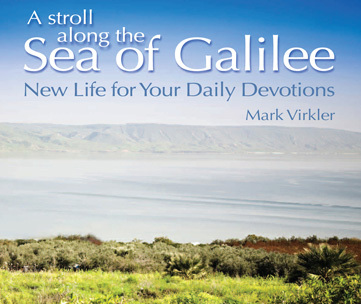 by Mark and Patti Virkler – Explores hundreds of verses which reveal God’s prescribed methodology for discovering truth.